I began my accounting career in 1999. My extensive background and skills offer a unique service in comparison to other public accountants. For several years I worked in a very large corporation in areas including financial accounting/reporting, treasury/finance as well as being involved in a large corporate wide new system implementation. I also worked in the Caribbean for a year as a Financial Controller for a private island resort. I have a passion for what I do and I want to help you succeed! I understand business needs and am able to assist in all aspects. I offer complete accounting, tax and consulting services. Get your business off on the right foot by contacting me to ensure you are well prepared. I can set your system up and provide necessary training and process implementation. My goal is to provide your business with the most efficient processes and procedures to ensure your money is going to good use. If you want to focus your attention on your business and what makes you money then I can assist and ensuring the financial area is maintained accurately. 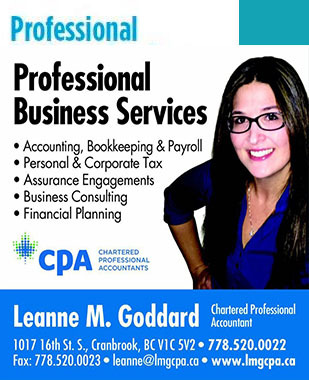 I offered complete bookkeeping and payroll services to assist you throughout the year. At the end of the fiscal year, I offer complete tax services for incorporated businesses or proprietorships. I can be there every step of the way! My first priority is the satisfaction of my clients and providing a service they value. I take great care to handle each and every one of my clients with an unsurpassed attention to detail. My clients are like my family! I keep my clients informed of any event that might affect their accounts and I and always strive to ensure that they understand exactly what is done. I strive to help individuals who do not know much about accounting make the best use of their resources according to their unique needs, situation and budget. Accounting may seem complicated, but with a little help from me, you will quickly see how even the smallest detail can make a big difference. For all your individual and business accounting needs, do not hesitate to contact me to set up an appointment. I will be delighted to answer any accounting question you may have or provide any accounting service you may need! I hope to hear from you soon!